Accountability for his highest of high crimes of war, against humanity, including genocide are omitted from coming charges against him, a reported 55-page indictment explaining criminal charges against him in detail. Israeli attorney general Avichai Mandelblit equivocated endlessly over whether to act against Netanyahu – despite damning evidence against him obtained by police. On February 28, Israeli media reported that he’ll be indicted on one count of bribery, two counts of fraud and breach of trust, citing the state’s justice ministry. The die is cast. 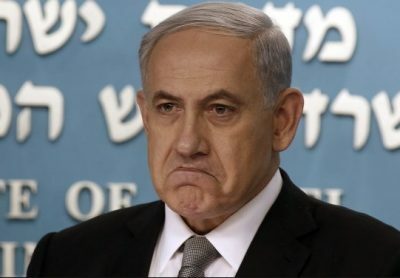 Netanyahu’s indictment on multiple counts could come once a required hearing is held – possibly not until after April 9 elections – called by Netanyahu, believing he’d be reelected, hoping a mandate would save him. “Waiting to release the decision is not in keeping with the public’s right to know,” adding prosecutors have been examining evidence for many months. According to rules and standards regarding criminal investigations of politicians in the run-up to elections, there’s no justifiable reason to delay indictments until after they’re held. Last December, the State Prosecutor’s Office recommended indicting Netanyahu on two counts of bribery in so-called Cases 2000 and 4000. The former involves Netanyahu getting caught red-handed on tape, negotiating a quid pro quo with Yedioth Ahronoth publisher Arnon Mozes for more favorable broadsheet coverage in return for legislation prohibiting distribution of the free daily Israel Hayom, YA’s main competitor, owned by Netanyahu supporter Sheldon Adelson. The latter case alleges police suspect Walla news owner/controlling shareholder of Bezeq telecommunications company Shaul Elovitch ordered favorable coverage of Netanyahu on his news site in return for benefits arranged for Bezeq. A third so-called case 1000 involves lavish gifts Netanyahu received from Israeli billionaire Arnon Milchan in return for political favors. He can stay in office and run for reelection while proceedings against him continue – despite a serious conflict of interest with him in charge of Israel’s justice ministry. As for his status as prime minister, Israeli voters can settle the matter by defeating the ruling Fatah-led coalition on April 9. Whether a public or private figure, he’s vulnerable to conviction and sentencing if damning evidence proves him guilty of charges. Things dragged on endlessly for many months. It’ll likely be months longer before resolution of charges against him.